Last week we touched on some of the amazing technology we are now dealing with as consumers and business people. The touchscreens on our smartphones and tablet devices have enabled amazing things with regard to your creativity, productivity and overall engagement with the content on these devices. These devices and the rapid emergence of social networks have provided an incredible amount of new advertising inventory for businesses to reach their consumers while also significantly increasing the difficulty of communicating with their customers. So what is a business to do? 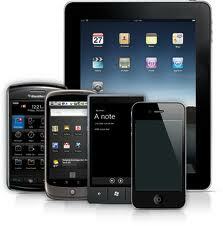 How engaged are consumers on these new devices and how responsive are they to advertising? The IAB is the Internet Advertising Bureau and they have just published a new study about consumer responsiveness to advertising on touchscreen devices. Ads that appear on touchscreen devices like tablets and smartphones are showing some of the highest levels of engagement of all digital ads. Before we delve into some of the detail, let’s pop it up a level and frame the different types of the mobile value proposition and consumer engagement. 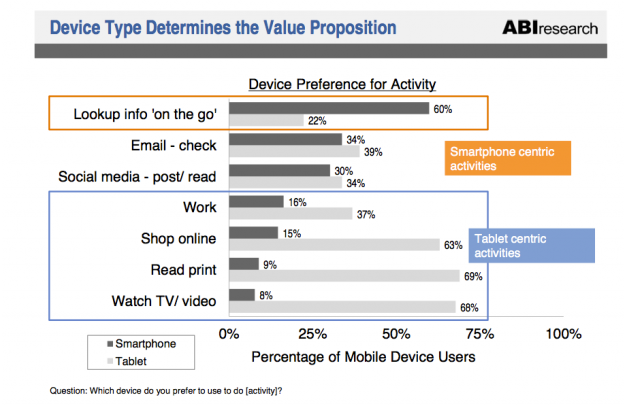 Engagement on tablets surpasses engagement on smartphones. Across key dimensions – use/consumption, the receptivity and action related to advertising, and the activity of shopping – tablet users are more easily engaged. Although smartphones are more likely than tablets to be used outside the home, there is a clear reliance on their smartphones across high-value activities at home as well, for example while reading print media and watching TV. Mobile affects traditional media consumption in distinct ways. Two audiences are emerging – one that drives traditional media through mobile (so mobile complements or augments their traditional media usage); another that detracts (so mobile substitutes for or replaces traditional media). Almost half of tablet owners say having a tablet has had an impact (positive OR negative) on the amount of time they spend reading magazines and newspapers. Size matters. Between tablet and smartphone users, the IAB found that those on tablets are actually more engaged in advertising. When asked if they engage with ads more than once a week — that is, click on an ad for more information — 47 percent of tablet users responded yes, compared to 25 percent of smartphone users. Tablet users were also more likely to “take action” on the ad (that could mean buying something, downloading something, filling out a survey, or visiting another site): 89 percent of tablet users took action versus 80 percent of smartphone users. The medium is the message. Also, as we’ve seen from other tablet research, people are more likely to be using their tablets to read and consume entertainment media for longer periods of time, while smartphones are about short bursts of use. Those shorter bursts imply that users will be less inclined to spend time clicking around on ads than on the tablet. Among smartphone users, 47 percent of smartphone users say they “never” interact with mobile ads, compared to just 23 percent on tablets. Context is king. The top three categories for mobile ads, as ranked by respondents, were the same across tablets and smartphones, although their rankings differed. They were coupons related to things users were already browsing; ads for products that were already being shopped for; and favorite brands (again possibly related to your browsing activity). Much more information can be found in the 70 page report that was completed. You can download the full report at http://www.iab.net/media/file/IAB-Mobile-Devices-Report-final.pdf. More to follow on this once I can dig a little deeper into the findings. really enjoyed reading it very much. You have a great day! Got an iPad? I recommend that you check out these easy iPad video lessons and get the most out of your iPad today.